At Room & Board, we believe in bettering the communities where we live and work. What better way to make an impact than through young people? 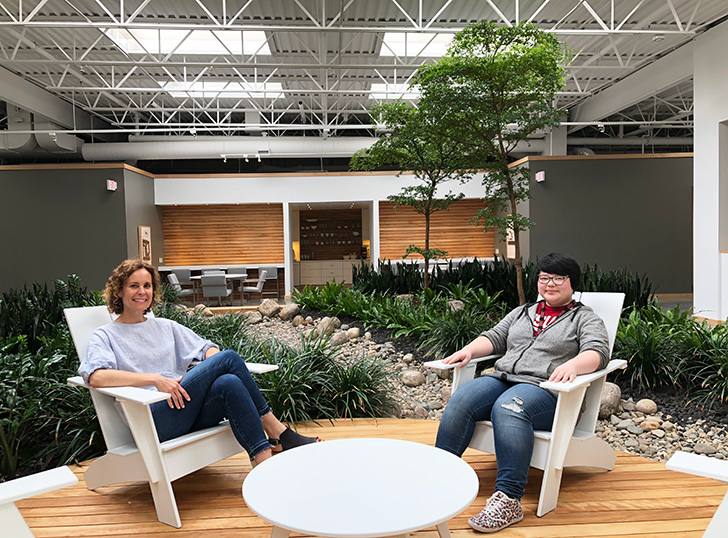 Room & Board is proud to partner with Genesys Works, whose mission is to provide pathways to career success for high school students in under-served communities through skills training, meaningful work experiences and impactful relationships as interns. Staff members on our technology team were excited to meet their new “recruits” on “Draft Day.” Draft Day is a fun and boisterous event where nearly 200 students from the Minneapolis/St. Paul, Minnesota area are connected to companies for their internships. 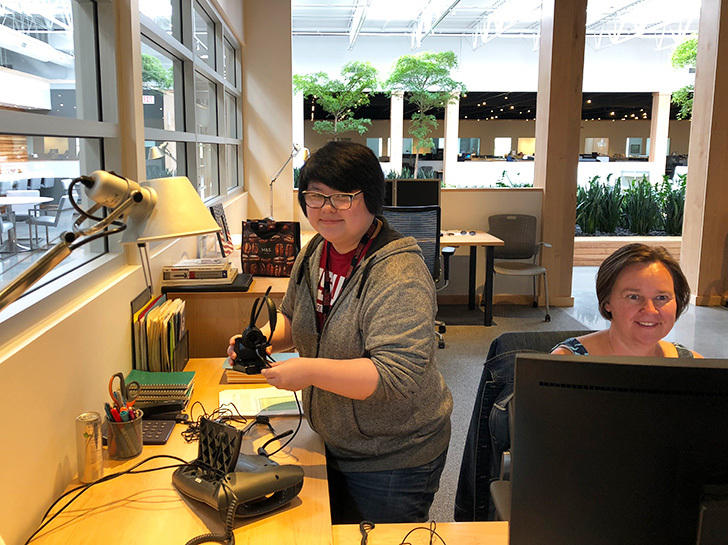 Genesys Works intern Shy Yang supports the Room & Board help desk. After a rigorous eight-week skills training program where the interns learned technical skills in information technology and business operations as well as professional skills required to succeed in today’s corporate workplace, two Genesys Works interns began coming to Room & Board every weekday afternoon. While here, they support our help desk, complete technology tests and help with a data clean-up project. They also set up new staff members in the system, work on cable management and more. Technology Services Manager Susan Taets shared, “This program has been impressive in terms of the caliber of students, training, college counseling and the ongoing support and communication. We love the idea of combining our business resources with a community aspect. We’ve really enjoyed our time with both of our interns.” The Technology team is already looking forward to Draft Day for the 2018/2019 school year. Susan Taets, Technology Services Manager, sits with Shy at Room & Board Central Office. While many students hope for placement at Fortune 500 companies, Room & Board’s interns were excited to work at a smaller company where they could enjoy broad responsibilities and build strong relationships. “Room & Board is so inviting and everyone is friendly. I could tell it was different from other companies. I’ve gained so much confidence working here. I also know how to trouble shoot and fix things now! 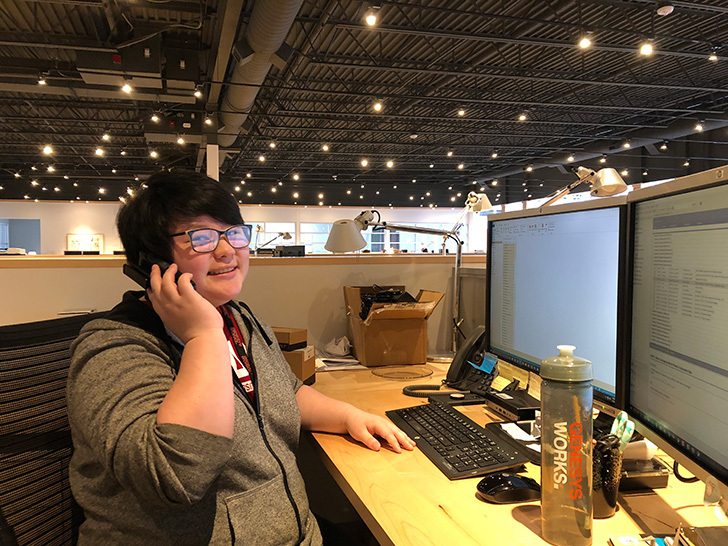 I’m still learning, because technology is always changing, but I’ve come a long way,” said Genesys Works Intern Shy Yang. After her Genesys Works internship came to completion, we extended her internship as she brings one year of valuable experience to the team. “Our decision to extend her internship was based on a combination of both aptitude and attitude. She will be a huge help in bringing on our new Genesys Works interns when they start soon,” said Rick Nelson, Director of Architecture and Infrastructure.